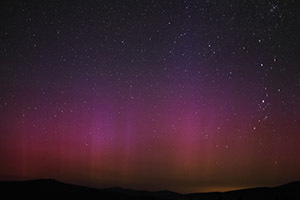 Archival quality prints as large as 40"x 60"
Colorful Auroras in Northern California - combined with shooting stars, a beautiful alignment of Jupiter and Venus with the Pleiades, an ISS and Soyuz double fly-by and a crescent moon at dawn: A 36-hour geomagnetic storm occurred on July 14-16 in response to a coronal mass ejection associated with the X1.4 solar flare of July 12 (16:49 UTC). A clear dark sky in Northern California revealed the Milky Way in much detail and enabled the observation of delicate ray structures within auroral curtains. 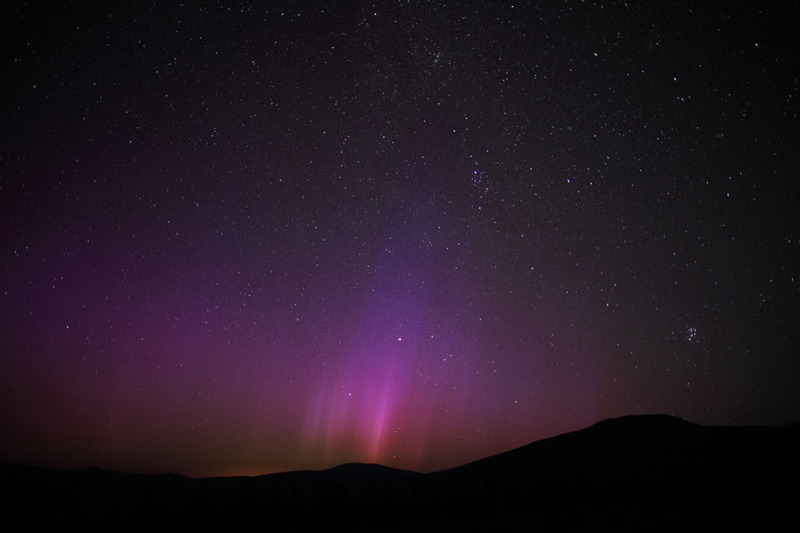 High, middle and low latitude regions in North America witnessed a period of strong auroral activity following the expected arrival of a strong coronal mass ejection (CME) late on July 26. The source of the CME was a long-duration M1 solar flare that occurred on July 25, 2004. 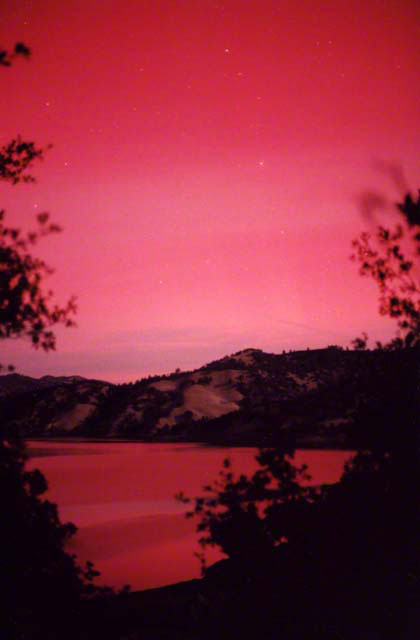 Night-sky watchers at low latitudes in Nevada, Utah and Northern California have witnessed this rare event as blue-red aurora early on July 27. A historic geomagnetic storm: Two powerful coronal mass ejections associated with X17.2 and X10.0 solar flares impacted the Earth on October 29-30. The impacts were followed by long periods of severe to extreme geomagnetic storm conditions. During this event spectacular displays of the Northern Lights became visible as far south as California, Arizona, Texas and Florida. A powerful coronal mass ejection billowed away from the Sun on November 4 and swept past our planet on the following day. The impact was followed by a long period of severe geomagnetic storm conditions and visible auroral activity as far south as Florida, Texas and California. The Northern Lights are rarely seen at low latitudes, occurring only 3-6 times during an 11-year solar cycle. 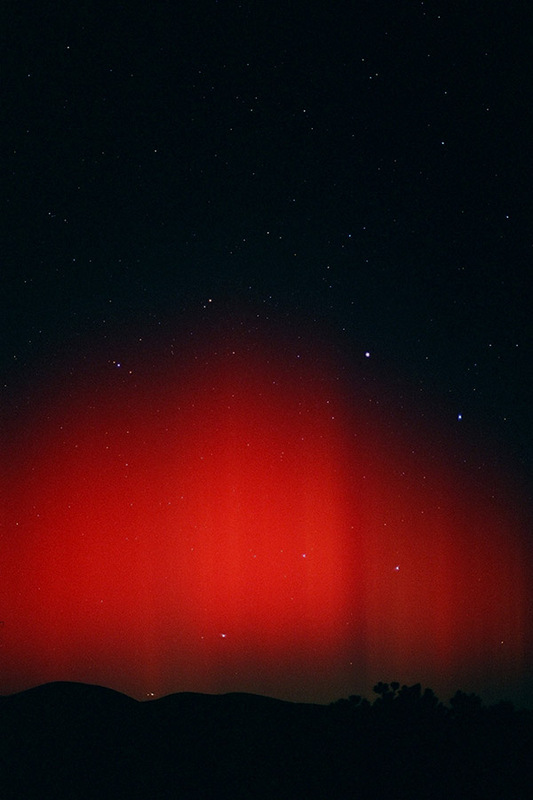 Sky watchers at low latitudes in Florida, Texas and Northern California have observed this event as red aurora early on November 5.